Increasing the size of the Mac mouse and trackpad pointer is an important ability for those with visual impairments, but it’s also a great way to make a Mac more friendly for newcomers to computers in general, like kids and grandparents. 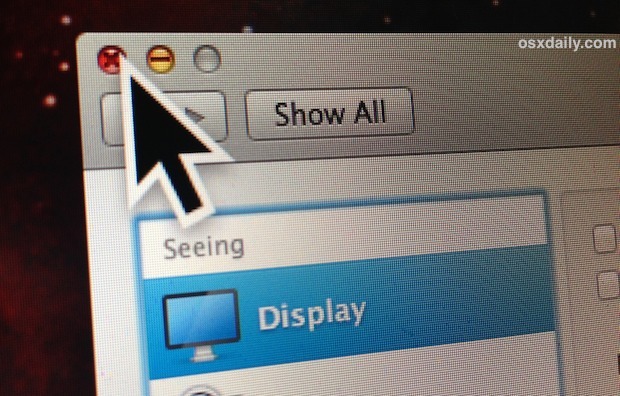 This tutorial will detail how to increase the size of the cursor on a Mac. Adjusting the cursor size is slightly different in newer versions of MacOS compared to older versions of Mac OS X, and we will cover how to make those changes in both. The size of the cursor changes will take effect immediately so you can visually see the difference as you adjust that cursor size slider. Ever since Mac OS X Mavericks and Mountain Lion, where and how you change the cursor size has moved. This isn’t bad news though, because the new cursor in the newest versions of Mac OS X is also significantly higher quality with a higher DPI version available that looks great even at the largest setting on a Retina display. Changes are immediately notice, and the largest setting is significantly bigger and more visible than the default setting. 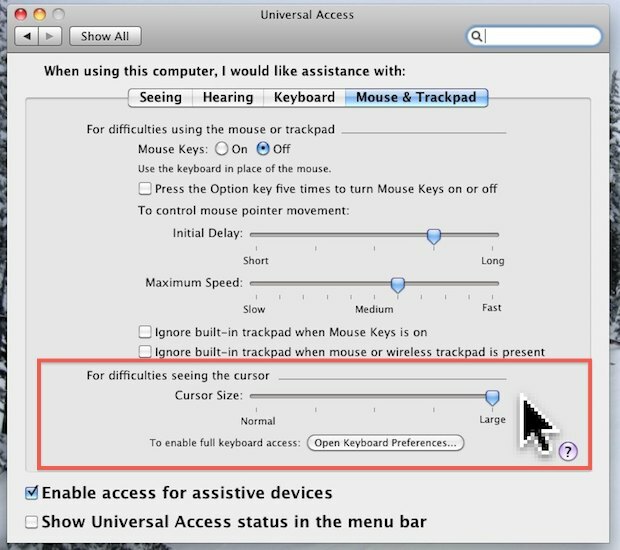 Note the cursor size adjustment tool has been shuffled around not only from the Mouse setting to Display setting, but the Universal Access panel is now called Accessibility. That is primarily how the latest versions of Mac OS X differ from prior versions of the Mac in regards to the pointer size. The slider causes immediate changes, allowing you to see live representations of what the new cursor size looks and behaves like. This setting is intended for use with those with difficulty seeing the cursor, but it’s also a great feature to enable for young kids. Combine this tip with increasing the desktop icon size or even making Mac OS X look like iOS to further simplify the user interface. Isn’t there an app that decreases the size of the pointer ? Als decrease the font in the menubar and everything like it’s running on a higher resolution ?? 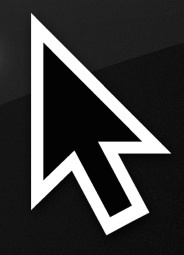 How do you resize the pointer if your using OSX 10.8.2? This doesn’t work for OS 10.8.2…there isn’t any “UNIVERSAL ACCESS” icon anymore that contains a cursor size adjustment! 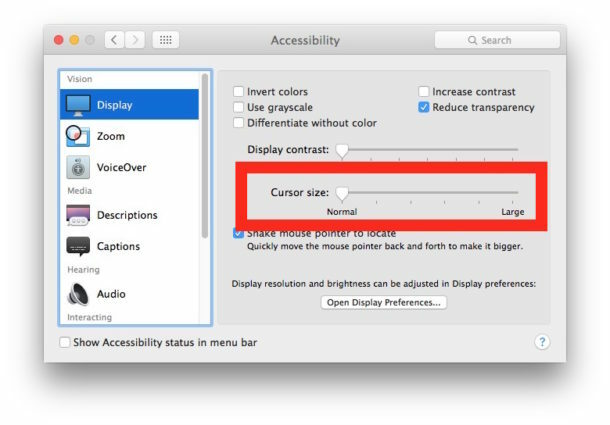 In 10.8.2, cursor size can be adjusted under “display” menu in “accessibility” in system preferences. Unfortunately, this solution doesn’t work for presenters. The large cursor is not shown when your mouse is over a PDF document or in an editable field.